El Nido's Bacuit Bay is a protected area of Palawan island, rich in marine life, and one of the most beautiful in the world. It is often referred as the frontier between Earth and Heaven, but it is actually in the Philippines. From our boat, you will have the opportunity to visit the gin crystal clear waters, and admire pristine white sand beaches and limestone cliffs. Diving in El Nido is more about coral reefs, tremendous tropical life and underwater landscapes. 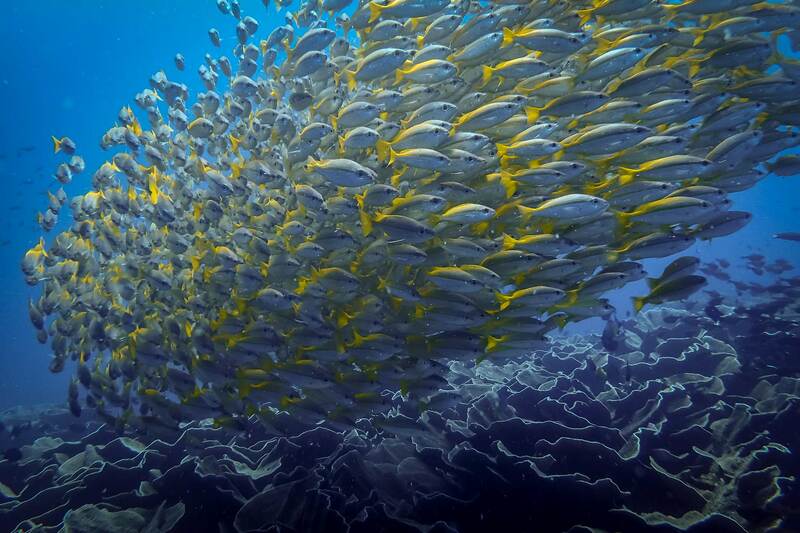 Bacuit Bay's marine life consists of over 800 species of colourful fish. 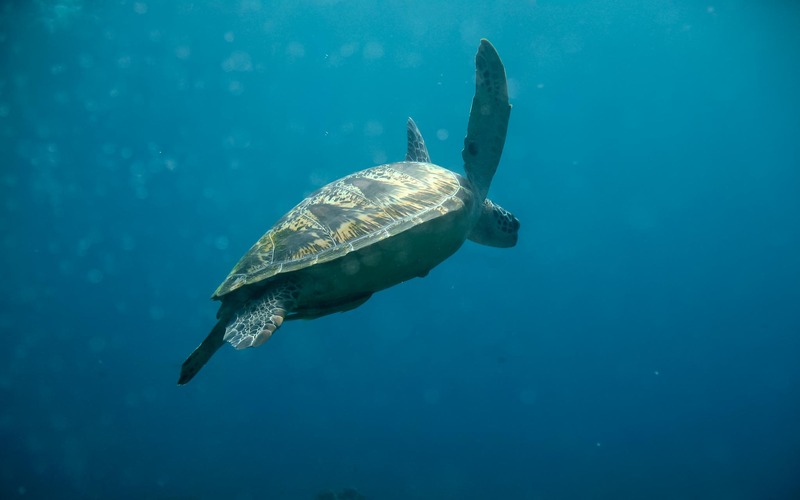 You are likely to see an array of wildlife including turtles, rays, jacks, anemone fish, surgeon fish, nudibranches, school of snappers, etc. 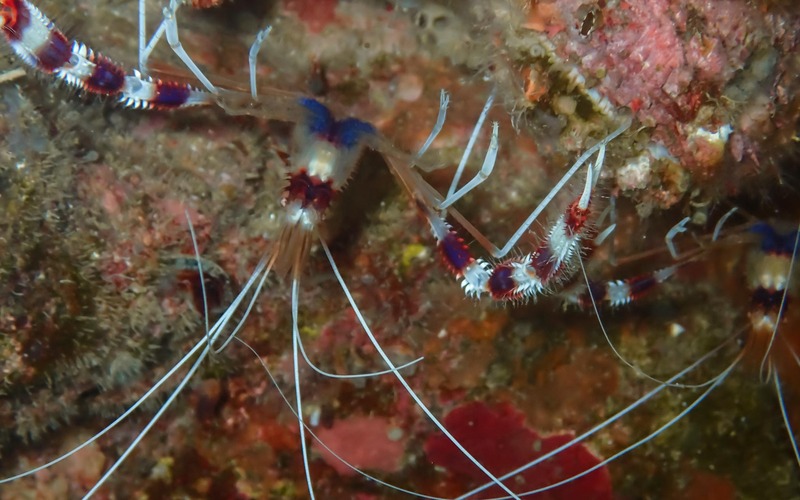 Some of the marine species can only be found in the Philippines and even in Palawan. 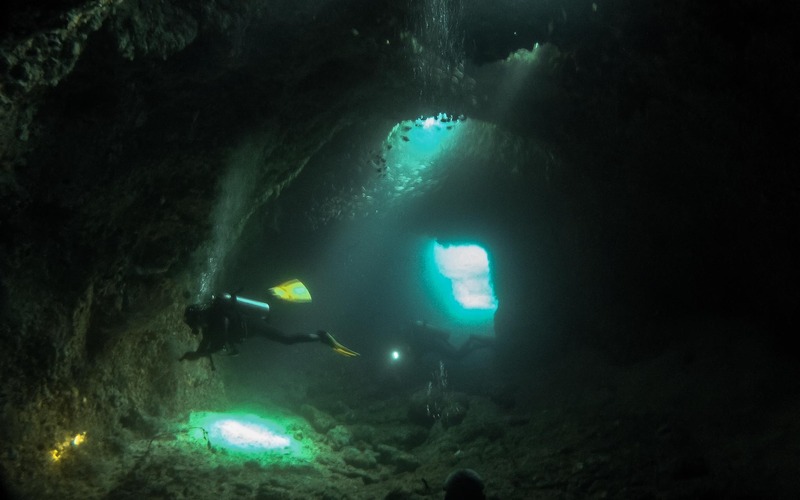 There is something to explore for everyone here, for the novice and for the experienced diver. Would like to give it a try? Discover scuba diving and stay close to a private instructor (2 students max per instructor). 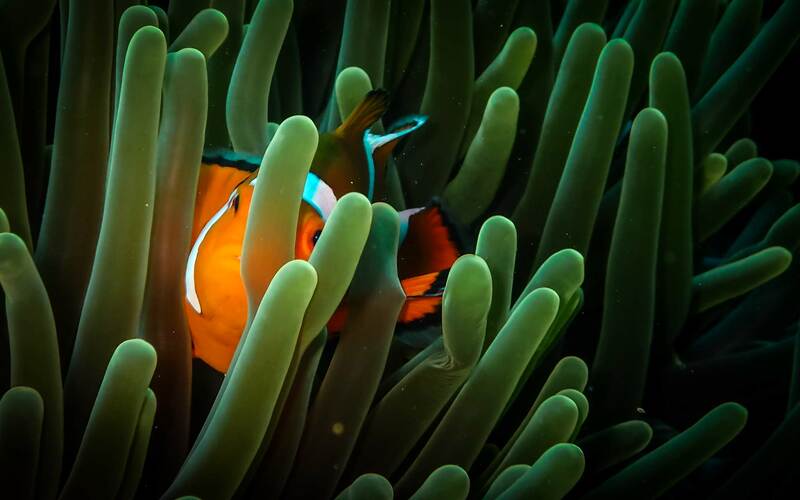 You explore the tremendous aquatic life and the coral gardens of El Nido up to 12 meters. Meet the turtles, clownfish, needlefish, butterflyfish, triggerfish, schools of fish, and more. We guarantee that you will keep amazing memories from the colourful reefs! We provide all types of PADI courses: From Open water to Dive Master. Get your first level of scuba diving with a private PADI instructor. Learn how to be an amazing diver with a nice buoyancy, and enjoy the terrific aquatic life of Bacuit Bay safely. Continue your education by going further away in you training: Advanced Open Water course, Rescue course, etc. Join our team and go diving in El Nido. Our dive centre organises 2 / 3 dives per day, in groups depending on your experience: You are part of a team with 4 scuba divers maximum for 1 divemaster. We provide you a safe scuba equipment and interactive dives. You can enjoy your time watching marine life, and spend surface intervals in the stunning scenery of Bacuit Bay.